You could have all your loved ones over for holiday celebrations - or you could let the cruise ship staff do the hosting. The holidays are the perfect time for a vacation, and there's plenty of cabin space to fit the whole family. If you're not one for large family celebrations, you and yours can escape the holiday craze for a quiet and relaxing cruise vacation. Cruise Critic suggested sailing these river cruises for the holidays so you can experience the wonders of the European Christmas markets. There are even river cruises entirely dedicated to taking cruisers to ports where they can explore the famous markets. You'll eat and drink like kings and queens at these markets, plus find plenty of fabulous gifts to bring home for your loved ones. The gorgeous seas and sands of the Caribbean are always a good idea, especially when it means trading in wintry weather for warm breezes and sunny skies. Many cruise lines will also offer festivities on board so you can still get a taste of the holiday spirit. 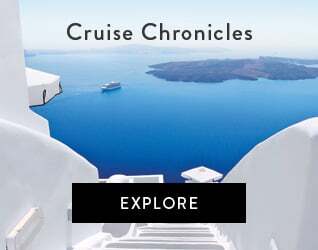 If you have the time to travel a little farther than the Caribbean, Cruise Critic also suggested searching for cruises heading to Tahiti, Bora Bora, Australia and New Zealand. If you're planning to take the kids with you, consider Disney's Very Merrytime Cruises for a family-friendly holiday cruise vacation. These holiday-themed cruises are packed with entertainment and onboard festivities for kids and Disney lovers alike. When you need a break from onboard festivities, you can explore ports like Disney's private island Castaway Cay, Key West, Cozumel and the Bahamas.